The grapes have now formed and are growing everyday. 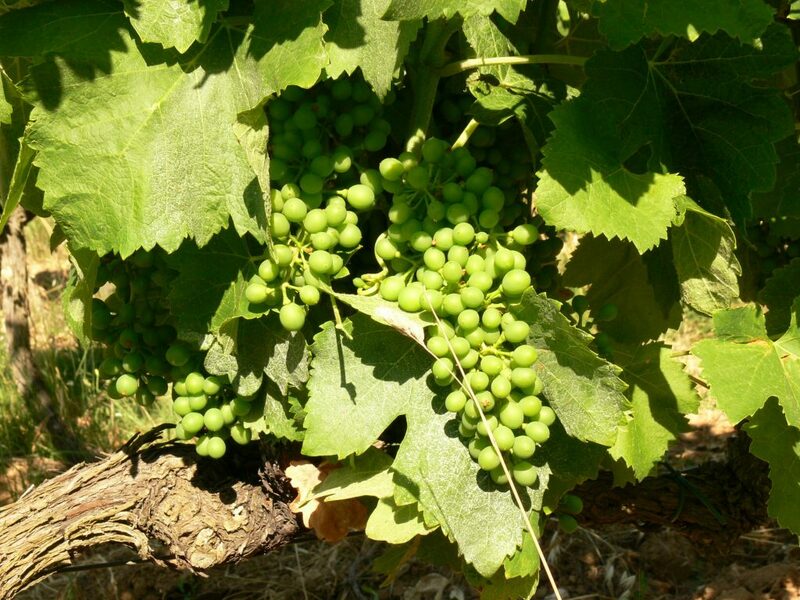 These bunches are in one of our Vinsobres Syrah plots and they have just reached the stage known as “fermeture de la grape” which translates to something like closure of the bunch. What this means is that the individual grapes are now touching each other. This is an important stage as after this stage the grapes are much less susceptible to certain fungal attacks, particularly oidium. The weather has also co-operated with the hot, sunny and sometimes windy conditions being perfect to bring along the ripening grapes. The next key stage is “veraison” when the grapes start to change colour and I’ll post an update later in the month when that starts.